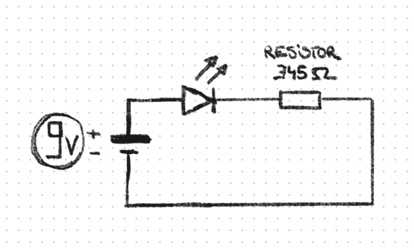 You allways need a resistor before the LED because if there is none the current, that flows will destroy the LED. You get these values from the packaging or suppliers website of the LEDs you have at hand. One LED isnt good enough for me! I demand much more! If we want to connect more than one LED to a power supply we need to think ahead a little more. For each LED in the branche we subtract from the power supply; in our case 3 times. The mA stay the same. Each of these branches can not exceed the supply voltage if you add up all the voltage each LED needs. 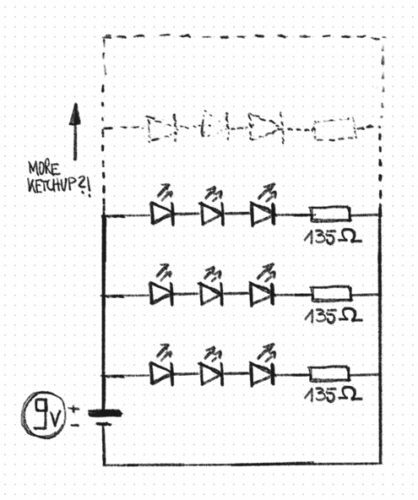 If it would exceed the supply Voltage we can just make a new branch (which is called “in parallel”) a we are fine. 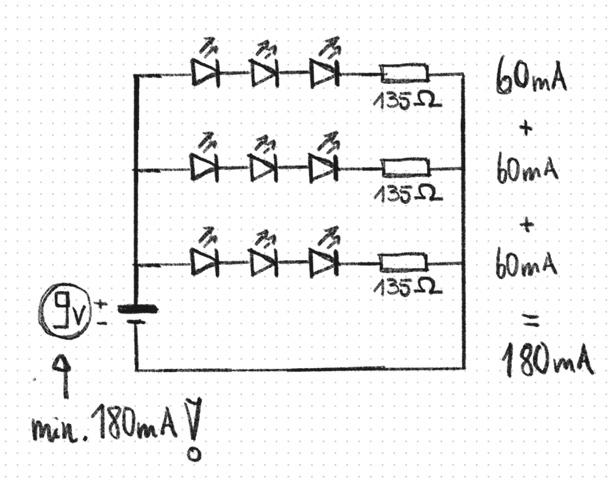 But there is something we need to consider when we are going crazy with our LED count: we allways need to add up all the mA each LED needs and then compare this number to the mA that the power supply is rated. Lets say we have 30 LEDs each of them needs 25mA. In total they would need 750mA. 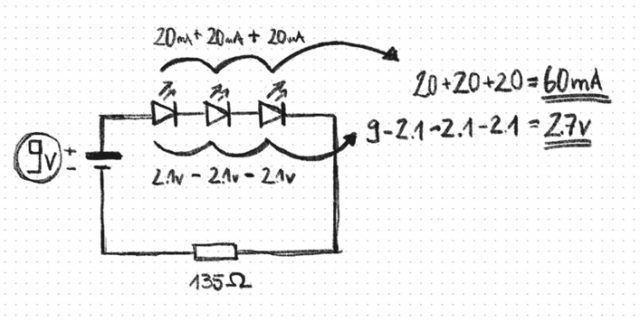 If your power supply is rated 1A or 1000mA (its the same) you are good if there is nothing else in the circuit. Otherwise you need a power supply that can deliver at least the number of ampse the LEDs needs in total!